There’s so many things you can do with Android-based media players. But before you buy one, we need to consider your budget. So how much does an Android TV box cost? Android TV box prices vary a lot, from costing peanuts to a small fortune. You can easily pick up a low spec device for under $30 or spend $200+ for fully featured Android media player. There’s even a few products that cost over $300 (but they should be avoided – I’ll get into why in a sec). Better specs equals more expensive (usually): It’s not surprising that an Android TV box’s price tag increases as the specs get better. The chipset is often the biggest part of cost as it’s the main part and tends to set the average cost for similar devices. Want more RAM or storage? Expect to pay a bit more (though it’s often worth it). You get what you pay for: When looking at Android TV box prices, it’s not just the hardware you pay for. You also get firmware updates and support. Companies like Minix, Ugoos and Zidoo charge a premium for similar specc’d devices but offer better firmware and more regular updates. Avoid overly expensive TV boxes: There’s dodgy sellers out there who charge a premium for crappy hardware. As a rule of thumb, anything more that $200 deserves a bit of skepticism. When you’re considering an ultra-budget Android TV box, you need to know spending so little means you’ll have to make some compromises. You’ll either get better specs with no support or better-supported hardware with low-end specs. When spending so little, most Android TV boxes in this price bracket often only have 1GB of RAM and 8GB of storage. This will offer a usable experience but it won’t be the best. That said, these ultra budget Android TV boxes are a good way to test out an Android media player before committing to a more powerful (and expensive) device. They’re also excellent as secondary media players for spare rooms or the kids. The Amazon Fire Stick is a great choice in the ultra budget market. Whilst it’s limited to 1080p video output and isn’t exactly a speed demon, it has excellent support from Amazon and supports HD streaming from services like Amazon Prime and Netflix. Mid-range Android TV boxes are usually around $100-150. You’ll find that most TV boxes are around this price and this means you’ll have the most choice. There’s a pretty wide variety of chipsets in this price bracket and some pretty impressive specs to boot. More powerful chipsets means better video decoding abilities and gaming performance, making these boxes perfect for multiple uses. Expect most boxes to have at least 2GB of RAM, 32GB of storage, dual band wifi and more. 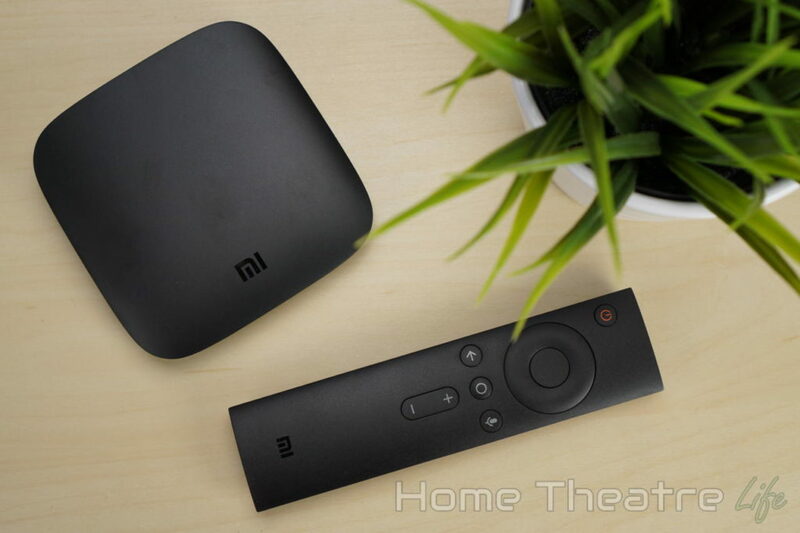 Xiaomi Mi Box: The Xiaomi Mi Box features the quadcore Amlogic S905X-H and runs Android TV – Google’s TV-optimized OS built from the ground up for big screen use. You can watch HD Netflix (and other streaming services) as well as install of TV-optimized apps on the Google Play store. 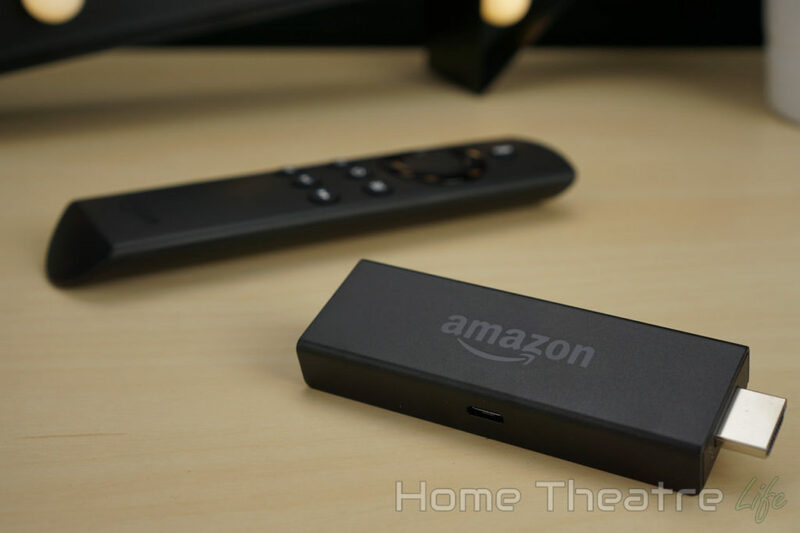 Amazon Fire TV: Amazon’s all-new Fire TV is an incredibly popular mid-range TV box that’s capable of 4K video playback including services such as Netflix and Amazon Prime. It also comes with the Alexa voice remote – offering Amazon’s virtual assistant (and everything it can do) in the palm of your hands. So you’ve got premium tastes and you want to get the most powerful Android TV box you can for your money. High-endAndroid boxes usually come with incredibly powerful hardware and improved software support including support for Bluray menus, hard drive bays for massively increasing internal storage and more. Most specs will be similar to the mid-range devices, though expect more advanced features or, in the case of the Nvidia Shield TV, best-in-class performance. There’s quite a few boxes in this price range but you really should only buy the Nvidia Shield TV if you’re wanting to get a high-quality Android TV box. 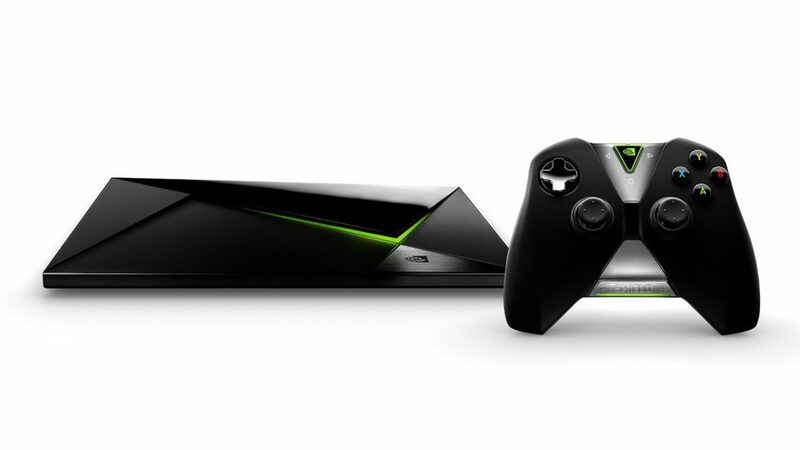 The Nvidia Shield TV is a streaming media beast thanks to the Tegra X1 processor inside. It handles media playback with ease (including top-notch Kodi support ) and the box’s GPU offers the best gaming experience on Android TV boxes to date. Unfortunately, when it comes to Android TV boxes, there’s a whole heap of sellers trying to rip you off. These companies try to make a quick buck by taking low-end hardware, installing some dodgy Kodi add-ons and sell it for 10 or more times the price the box is worth. They’re often marketed as Kodi boxes or plug and play TV boxes and they should be avoided like the plague. They’ll say you’ll get every TV show free: If it’s sounds too good to be true, it probably is. The truth is that these boxes come pre-loaded with some questionable Kodi add-ons without the protection of a VPN, putting you at risk. They’re super-expensive: These sellers are out there to make some easy money and charge insane prices to make their products seem legit. Prices around $250-$300 seems to be pretty common, making it relatively easy to spot these products. It’ll be difficult to find the specs: These companies know they’re selling cheap hardware at premium prices but they don’t want you to know you’re being ripped off. They’ll advertise all the video content you can watch but there won’t be the slightest mention of the unit’s specifications – no matter how hard you look. If you find any TV boxes that meet the above criteria, make sure you avoid them and invest in a high-quality TV box instead. Which TV box Should I Buy? There’s plenty of choices out there when it comes to TV boxes so it’s important you decide on your budget at the start of the Android TV box buying journey. Once you know how much you’re willing to spend, check out my Best Android TV box guide to find our top picks for every need and budget. That said, if you’re wanting to buy the best Android TV box around (and you’re happy to stretch your budget to the higher end), I’d buy the Nvidia Shield TV – you definitely won’t be disappointed. Amazon: The online retailing juggernaut offers an impressive array of Android TV boxes backed up by Amazon’s exceptional customer service. There choice isn’t as comprehensive as some of the other retailers but you’ll find the most popular devices here including the amazing Nvidia Shield TV. GearBest: GearBest offers one of the biggest selections of Android TV boxes in the world, including many of the more obscure Android TV boxes. They’re always running sales so you should be able to grab a bargain when you’re ready to buy. Banggood: If you’ve ever read any of my Blitzwolf reviews, you’ll know that I’m a big fan of Banggood. Their range isn’t the biggest, but you’ll find many of the most popular Android boxes in their catalog. Plus, you’ll get access to their (generally) excellent customer service. GeekBuying: GeekBuying were one of the first sellers of Android TV boxes, becoming known as the only seller of Tronsmart TV boxes. Their range is excellent and customer service is solid too. eBay: I’ve had mixed success with buying Android TV boxes from eBay. The range is a bit hit and miss and tends to be biased towards boxes that sell well rather than the best Android TV boxes you can buy. That said, you’ll get excellent support from both eBay and PayPal so you can breathe easy knowing you’re purchasing without risk. 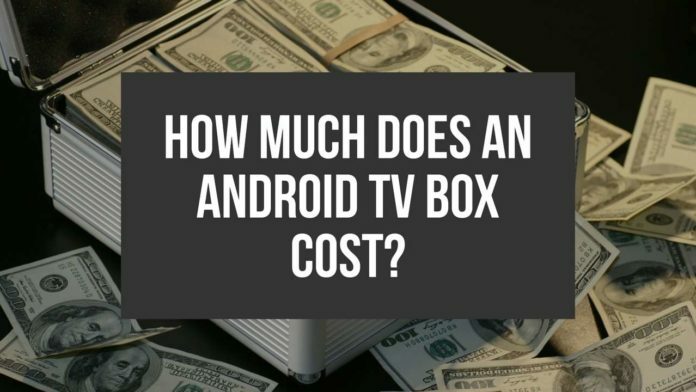 Unfortunately, there’s not a clear answer to how much an Android TV box costs. Instead, Android boxes are available at a wide variety of price points so it’s important you decide how much you’re willing to spend before committing.